Circulation and cellular activity were restored in a pig s brain four hours after its death a finding that challenges long held assumptions about the timing and irreversible nature of the cessation of some brain functions after death Yale scientists report April 18 in the journal Nature. The brain of a postmortem pig obtained from a meatpacking plant was isolated and circulated with a specially designed chemical solution. Many basic cellular functions once thought to cease seconds or minutes after oxygen and blood flow cease were observed the scientists report. The intact brain of a large mammal retains a previously underappreciated capacity for restoration of circulation and certain molecular and cellular activities multiple hours after circulatory arrest said senior author Nenad Sestan professor of neuroscience comparative medicine genetics and psychiatry. However researchers also stressed that the treated brain lacked any recognizable global electrical signals associated with normal brain function. At no point did we observe the kind of organized electrical activity associated with perception awareness or consciousness said co first author Zvonimir Vrselja associate research scientist in neuroscience. Clinically defined this is not a living brain but it is a cellularly active brain. Cellular death within the brain is usually considered to be a swift and irreversible process. Cut off from oxygen and a blood supply the brain s electrical activity and signs of awareness disappear within seconds while energy stores are depleted within minutes. Current understanding maintains that a cascade of injury and death molecules are then activated leading to widespread irreversible degeneration. However researchers in Sestan s lab whose research focuses on brain development and evolution observed that the small tissue samples they worked with routinely showed signs of cellular viability even when the tissue was harvested multiple hours postmortem. Intrigued they obtained the brains of pigs processed for food production to study how widespread this postmortem viability might be in the intact brain. Four hours after the pig s death they connected the vasculature of the brain to circulate a uniquely formulated solution they developed to preserve brain tissue utilizing a system they call BrainEx. They found neural cell integrity was preserved and certain neuronal glial and vascular cell functionality was restored. 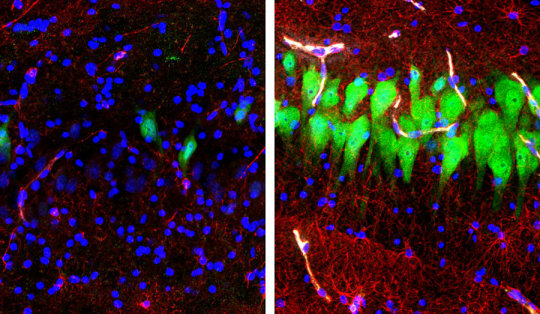 The new system can help solve a vexing problem the inability to apply certain techniques to study the structure and function of the intact large mammalian brain which hinders rigorous investigations into topics like the roots of brain disorders as well as neuronal connectivity in both healthy and abnormal conditions. Previously we have only been able to study cells in the large mammalian brain under static or largely two dimensional conditions utilizing small tissue samples outside of their native environment said co first author Stefano G. Daniele an M.D./Ph.D. candidate. For the first time we are able to investigate the large brain in three dimensions which increases our ability to study complex cellular interactions and connectivity. While the advance has no immediate clinical application the new research platform may one day be able to help doctors find ways to help salvage brain function in stroke patients or test the efficacy of novel therapies targeting cellular recovery after injury the authors say. The research was primarily funded by the National Institutes of Health s (NIH) BRAIN Initiative. This line of research holds hope for advancing understanding and treatment of brain disorders and could lead to a whole new way of studying the postmortem human brain said Andrea Beckel Mitchener chief of functional neurogenomics at the NIH s National Institute of Mental Health which co funded the research. The researchers said that it is unclear whether this approach can be applied to a recently deceased human brain. The chemical solution used lacks many of the components natively found in human blood such as the immune system and other blood cells which makes the experimental system significantly different from normal living conditions. However the researcher stressed any future study involving human tissue or possible revival of global electrical activity in postmortem animal tissue should be done under strict ethical oversight. Restoration of consciousness was never a goal of this research said co author Stephen Latham director of Yale s Interdisciplinary Center for Bioethics. The researchers were prepared to intervene with the use of anesthetics and temperature reduction to stop organized global electrical activity if it were to emerge. Everyone agreed in advance that experiments involving revived global activity couldn t go forward without clear ethical standards and institutional oversight mechanisms. There is an ethical imperative to use tools developed by the Brain Initiative to unravel mysteries of brain injuries and disease said Christine Grady chief of the Department of Bioethics at the NIH Clinical Center. It s also our duty to work with researchers to thoughtfully and proactively navigate any potential ethical issues they may encounter as they open new frontiers in brain science she said. For the first time, engineers have demonstrated an electronic device to closely monitor beating heart cells without affecting their behavior. 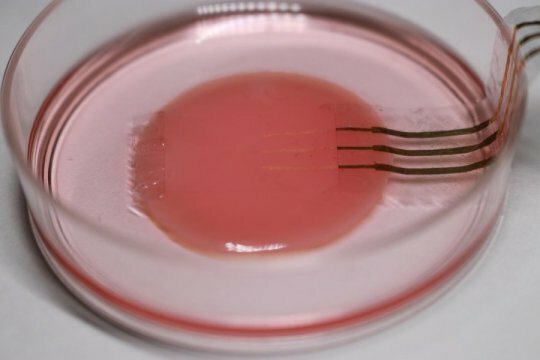 A collaboration between the University of Tokyo, Tokyo Women s Medical University and RIKEN in Japan produced a functional sample of heart cells with a soft nanomesh sensor in direct contact with the tissue. This device could aid study of other cells, organs and medicines. It also paves the way for future embedded medical devices. Inside each of us beats a life-sustaining heart. Unfortunately, the organ is not always perfect and sometimes goes wrong. One way or another research on the heart is fundamentally important to us all. So when Sunghoon Lee, a researcher in Professor Takao Someya s group at the University of Tokyo, came up with the idea for an ultrasoft electronic sensor that could monitor functioning cells, his team jumped at the chance to use this sensor to study heart cells, or cardiomyocytes, as they beat. When researchers study cardiomyocytes in action they culture them on hard petri dishes and attach rigid sensor probes. These impede the cells natural tendency to move as the sample beats, so observations do not reflect reality well, said Lee. Our nanomesh sensor frees researchers to study cardiomyocytes and other cell cultures in a way more faithful to how they are in nature. The key is to use the sensor in conjunction with a flexible substrate, or base, for the cells to grow on. For this research, collaborators from Tokyo Women s Medical University supplied a healthy culture of cardiomyocytes derived from human stem cells. The base for the culture was a very soft material called fibrin gel. Lee placed the nanomesh sensor on top of the cell culture in a complex process, which involved removing and adding liquid medium at the proper times. This was important to correctly orient the nanomesh sensor. The fine mesh sensor is difficult to place perfectly. This reflects the delicate touch necessary to fabricate it in the first place, continued Lee. The polyurethane strands which underlie the entire mesh sensor are 10 times thinner than a human hair. It took a lot of practice and pushed my patience to its limit, but eventually I made some working prototypes. With three probes, the sensor reads voltage present at three locations. The readout appears familiar to anyone who s watched a hospital drama as it s essentially a cardiogram. Thanks to the multiple probes, researchers can see propagation of signals, which result from and trigger the cells to beat. These signals are known as an action or field potential and are extremely important when assessing the effect of drugs on the heart. Drug samples need to get to the cell sample and a solid sensor would either poorly distribute the drug or prevent it reaching the sample altogether. So the porous nature of the nanomesh sensor was intentional and a driving force behind the whole idea, said Lee. Whether it s for drug research, heart monitors or to reduce animal testing, I can t wait to see this device produced and used in the field. I still get a powerful feeling when I see the close-up images of those golden threads. To power their electric bandage, or e-bandage, the researchers made a wearable nanogenerator by overlapping sheets of polytetrafluoroethylene (PTFE), copper foil and polyethylene terephthalate (PET). The nanogenerator converted skin movements, which occur during normal activity or even breathing, into small electrical pulses. This current flowed to two working electrodes that were placed on either side of the skin wound to produce a weak electric field. The team tested the device by placing it over wounds on rats backs. 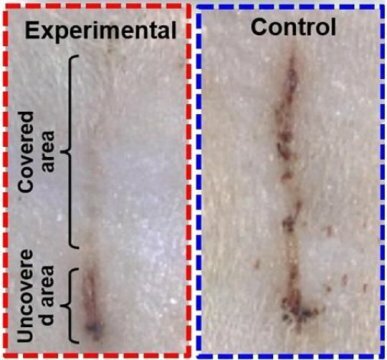 Wounds covered by e-bandages closed within 3 days, compared with 12 days for a control bandage with no electric field. The researchers attribute the faster wound healing to enhanced fibroblast migration, proliferation and differentiation induced by the electric field. A depiction of the different regions in the developing fly brain (left) and the roles of Slit-Robo and Netrin, in inhibiting cell mixing (right). Boundaries between different regions of the brain are essential for the brain to function. Research to-date has shown that molecular machineries located at the cell membrane such as cell adhesion molecules are responsible for regulating the boundary formation. Specifically, Slit and Netrin are diffusible guidance molecules that regulate the attraction and/or repulsion of the cells. Cells that receive Slit or Netrin are repelled from its source. However, it is also known that some cells are attracted to the source of Netrin. Makoto Sato at Kanazawa University and colleagues report in iScience that these diffusible molecules are essential for the boundary formation in fly brains. The visual center of the adult fly brain can stem from two parts of the larval fly brain, the inner proliferation center (IPC) and the outer proliferation center (OPC). Glial cells separate the IPC neurons and OPC neurons. Keeping the IPC and OPC separated ensures that they give rise to distinct brain regions. Netrin becomes effective when received by the two receptor molecules Fra and Unc5. To examine the effects of Netrin, the researchers used gene editing and inactivated it in the larva visual centers. These flies were found to have the IPC neurons penetrating the OPC, with disrupted distribution of the OPC neurons and glial cells. The same effects were seen in Fra and Unc5 inactivated flies. Similarly, Slit becomes active when bound to its receptor, Robo. Inactivation of either Slit or Robo resulted in similar boundary defects. The researchers also found that Netrin expressed in the IPC and OPC neurons is received by Fra and Unc5 expressed in the glial cells situated between the IPC and OPC. In contrast, Slit expressed in the glial cells is received by Robo expressed in the IPC and OPC. These unique findings are important because the guidance molecules are different from molecules that act at cells membranes. However, it is very difficult to imagine how these guidance molecules govern the boundary formation. So, Sato and his team formulated a mathematical model of the functions of Slit and Netrin, and demonstrated that these guidance molecules can indeed regulate the formation of boundaries. The exchange of Slit and Netrin with their respective partners, between the neurons and glial cells were simulated. Slit produced by glial cell always repels neurons. However, given that Netrin possesses attractive and repulsive properties, then how does Netrin function? The key idea of their model is that Netrin produced by neurons attracts glial cells when its concentration is low. But it is switched to become repellent when its concentration is high. This model shows that the balance between attraction and repulsion between neurons and glial cells regulates the boundary formation in the different brain regions. Thus, the report establishes a link between the diffusible guidance molecules and the boundary formation mechanism in multicellular organisms. Currently, uterus donation is only available for women with family members who are willing to donate. With live donors in short supply, the new technique might help to increase availability and give more women the option of pregnancy. 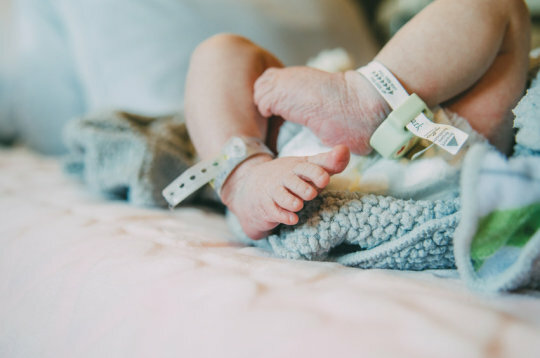 The first baby has been born following a uterus transplantation from a deceased donor, according to a case study from Brazil published in The Lancet. The study is also the first uterine transplantation in Latin America. The recipient of the transplant was a patient with uterine infertility. Previously, there have been 10 other uterus transplants from deceased donors attempted in the USA, Czech Republic and Turkey, but this is the first to result in a livebirth. The first childbirth following uterine transplantation from living donors occurred in Sweden in September 2013 and were also published in The Lancet. In total, there have been 39 procedures of this kind, resulting in 11 livebirths so far (see Comment Appendix). The use of deceased donors could greatly broaden access to this treatment, and our results provide proof-of-concept for a new option for women with uterine infertility. says Dr Dani Ejzenberg, Hospital das Clínicas, Faculdade de Medicina da Universidade de São Paulo, who led the research. The first uterus transplants from live donors were a medical milestone, creating the possibility of childbirth for many infertile women with access to suitable donors and the needed medical facilities. However, the need for a live donor is a major limitation as donors are rare, typically being willing and eligible family members or close friends. The numbers of people willing and committed to donate organs upon their own deaths are far larger than those of live donors, offering a much wider potential donor population. The surgery took place in September 2016. The recipient of the uterus was a 32 year-old woman born without a uterus as a result of Mayer-Rokitansky-Küster-Hauser (MRKH) syndrome. She had one in-vitro fertilisation (IVF) cycle four months before transplant, resulting in eight fertilised eggs which were cryopreserved. The uterus was removed from the donor and then transplanted into the recipient in surgery lasting 10.5 hours. The surgery involved connecting the donor uterus and recipients veins and arteries, ligaments, and vaginal canals. The fertilised eggs were implanted after seven months. The authors note that they were able to implant the fertilised eggs into the transplant uterus much earlier than previous uterus transplants (where this typically occurred after one year). Implantation was planned to be at six months, but the endometrium was not thick enough at this stage, so it was postponed for one month. There were no issues during the recipients pregnancy, other than a kidney infection at 32 weeks which was treated with antibiotics in hospital. Writing in a linked Comment, Dr Antonio Pellicer, IVI-Roma, Italy, notes that while the procedure is a breakthrough, it is still in the early stages of refining and many questions are still unsolved. He says: All in all, the research to be done in this field (whether from alive or deceased donors) should maximise the livebirth rate, minimise the risks for the patients involved in the procedures (donor, recipient, and unborn child), and increase the availability of organs. With the expansion of the field, the number of procedures will increase, and this will allow the community to set different types of study designs, such as comparison studies (ideally randomised) or long prospective series. In an expanding field such as uterus transplantation, the role of collaborative networks and societies such as the International Society of Uterus Transplantation or new interest groups in already existing scientific societies will be crucial. They should promote education and guidance so that the groups performing uterus transplantation for the first time can benefit from the experience of the pioneers. They should also encourage forthcoming procedures to be done and reported in a transparent way by endorsing prospective registration of the procedures and by developing accurate registries. This study was funded by Fundação de Amparo à Pesquisa do Estado de São Paulo and Hospital das Clínicas, University of São Paulo, Brazil. It was conducted by researchers from Hospital das Clínicas, University of São Paulo School of Medicine. Magnetic resonance imaging (MRI) brain scans have revealed that playing a single season of high school football can cause microscopic changes in the grey matter in young players brains. These changes are located in the front and rear of the brain, where impacts are most likely to occur, as well as deep inside the brain. 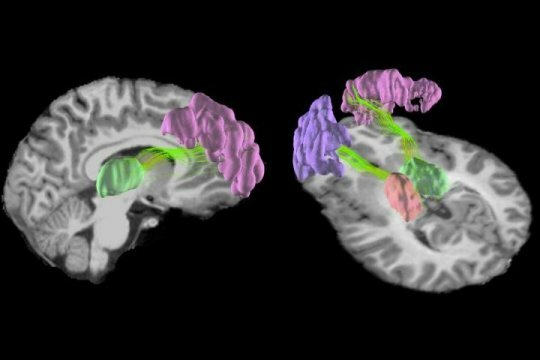 A single season of high school football may be enough to cause microscopic changes in the structure of the brain, according to a new study by researchers at the University of California, Berkeley, Duke University and the University of North Carolina at Chapel Hill. The study, which is the cover story of the November issue of Neurobiology of Disease, is one of the first to look at how impact sports affect the brains of children at this critical age. This study was made available online in July 2018 ahead of final publication in print this month. It is becoming pretty clear that repetitive impacts to the head, even over a short period of time, can cause changes in the brain, said study senior author Chunlei Liu, a professor of electrical engineering and computer sciences and a member of the Helen Wills Neuroscience Institute at UC Berkeley. This is the period when the brain is still developing, when it is not mature yet, so there are many critical biological processes going on, and it is unknown how these changes that we observe can affect how the brain matures and develops. One bonk to the head may be nothing to sweat over. But mounting evidence shows that repeated blows to the cranium -- such as those racked up while playing sports like hockey or football, or through blast injuries in military combat -- may lead to long-term cognitive decline and increased risk of neurological disorders, even when the blows do not cause concussion. There is a lot of emerging evidence that just playing impact sports actually changes the brain, and you can see these changes at the molecular level in the accumulations of different pathogenic proteins associated with neurodegenerative diseases like Parkinsons and dementia, Liu said. We wanted to know when this actually happens -- how early does this occur? The brain is built of white matter, long neural wires that pass messages back and forth between different brain regions, and grey matter, tight nets of neurons that give the brain its characteristic wrinkles. Recent MRI studies have shown that playing a season or two of high school football can weaken white matter, which is mostly found nestled in the interior of the brain. Liu and his team wanted to know if repetitive blows to the head could also affect the brain s gray matter. Grey matter in the cortex area is located on the outside of the brain, so we would expect this area to be more directly connected to the impact itself, Liu said. The researchers used a new type of MRI called diffusion kurtosis imaging to examine the intricate neural tangles that make up gray matter. They found that the organization of the gray matter in players brains changed after a season of football, and these changes correlated with the number and position of head impacts measured by accelerometers mounted inside players helmets. Although our study did not look into the consequences of the observed changes, there is emerging evidence suggesting that such changes would be harmful over the long term, Liu said. Tests revealed that students cognitive function did not change over the course of the season, and it is yet unclear whether these changes in the brain are permanent, the researchers say. The brain microstructure of younger players is still rapidly developing, and that may counteract the alterations caused by repetitive head impacts,said first author Nan-Ji Gong, a postdoctoral researcher in the Department of Electrical Engineering and Computer Sciences at UC Berkeley. However, the researchers still urge caution -- and frequent cognitive and brain monitoring -- for youth and high schoolers engaged in impact sports. I think it would be reasonable to debate at what age it would be most critical for the brain to endure these sorts of consequences, especially given the popularity of youth football and other sports that cause impact to the brain, Liu said. All of this website is owned by Pastorno Hospital in Mashhad.